Key Housing Connections, an extended-stay property management service for California serving cities as diverse as San Francisco, Sacramento, and Los Angeles, is proud to announce an update to its page on furnished rentals. The page focuses on the disambiguation of the terms ‘furnished’ and ‘serviced’ apartments, which are used by different linguistic groups to refer to apartments with all amenities provided. Americans searching for ‘furnished apartments’ in San Francisco may find one by conducting an online search. Europeans searching for ‘serviced apartments’ can also find the same. Properties including San Francisco serviced apartments have been made easier to find due to recent updated to the furnished rentals page, addressing the confusingly different terminology used for the same property type. It should be noted that “Venue,” a San Francisco apartment complex offering serviced or furnished apartments, has been recognized by Key Housing as a featured property for July. On-site amenities include a private conference room, clubhouse and formal dining room, laundry service and package delivery service. 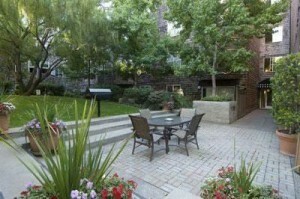 To review the property, directly, please visit http://venuesf.com/. However, with tight rentals in San Francisco, interested parties are urged to reach out to a Key Housing representative to identify rental opportunities in the City by the Bay. European businesses can have specific requirements for extended-stay accommodations in the United States. If the expectation is for a ‘serviced apartments’ in San Francisco, searches displaying ‘furnished apartments’ might be confusing. The two terms sound different, but in reality both types of apartments can offer the same level of accommodations. In parts of the world where English is the primary language, basic semantics can cause a misunderstanding. For instance ‘chips’ in England are ‘french fries’ in the United States. On the other side, ‘furnished apartments’ in San Francisco may be known as ‘serviced apartments’ to a British citizen. Different terms can have the same meaning! For this reason, Key Housing Connections Inc. has announced an update to the furnished rentals page. Both European and American terms for an extended-stay apartment can be easily identified. The featured property for July, Venue, can be reviewed as an example as one of San Francisco’s serviced apartments. Amenities include kitchens and appliances, laundry and furnished rooms. Community services include private conference rooms, concierge and secured parking. A British citizen searching for ‘serviced apartments’ in San Francisco can have expectations met even if the local term is ‘furnished apartments.’ Temporary housing at “Venue,” a San Francisco apartment complex can be a prime example. Key Housing Connections has helped to remind the business community two different terms for extended-stay apartments can mean the same thing. Based in Folsom, California, Key Housing Connections Inc. specializes in corporate housing and corporate housing in large cities like San Francisco, Los Angeles or San Francisco as well as smaller cities like Sacramento, Culver City and Walnut Creek. Key Housing is a leader in affordable, friendly, short-term and corporate housing in places like Capitola, Santa Barbara, Hermosa Beach and just about every city in California. Whether it’s serviced apartments or a furnished rental, just search, click or call today! This entry was posted in Press Releases and tagged San Francisco, San Francisco Corporate Housing, San Francisco Serviced Apartments on June 29, 2017 by Lee McDonald.